What makes the Ecobee3 Lite easily recommendable than most is its price tag. While there are many smart thermostats already available on the market, a lot of these devices might puncture a deep hole inside your wallet. 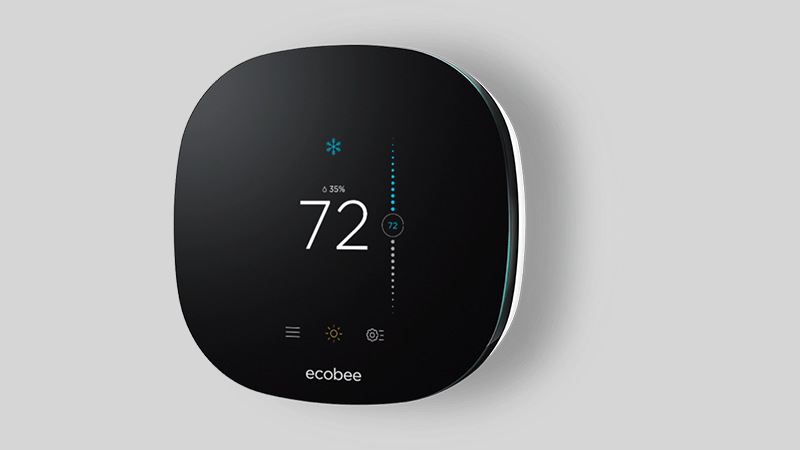 For this particular smart thermostat, it costs less than most, and it even has a smaller price tag than the original Ecobee3 thermostat. However, it should be noted right off the bat that because it has a smaller price tag, it should already be obvious that there are some features that were cut. For its design, the Ecobee3 Lite is mainly wrapped around a white plastic housing that holds a prominent semi-reflective black face. The touchscreen interface is that of a 3.5-inch display, and the text and icons found on it are pretty clear to read and view. When at rest, this particular smart thermostat will display the current indoor temperature and weather. However, it senses when you walk up to it and it will immediately recognize as you approach. The display will then show temperature controls and icons that will allow you to access its settings. When it comes to setting it up, the installation process is pretty much straightforward. All you have to do is either download the Android or iOS app for step-by-step instructions on how to put everything together, or you can head on to the company’s website for instructional videos. Either way, and once again, the setup process is pretty simple to go through, even when you’re completely new at this. Like the installation process, the Ecobee3 Lite Smart Thermostat is as simple as it could be. You can slide a finger on the touchscreen interface up and down to adjust the temperature of your home HVAC system. The device is also smart enough to learn about your patterns over time and it will adapt just the way you like it. Also, all of its settings are accessible through the icons found on the thermostat’s display, or you can also take control of it using the app or even at the Ecobee website. So what’s missing on the Ecobee3 Lite? As mentioned earlier, there are some things that have been removed from the flagship device. What’s worth mentioning is that the remote sensors are now gone. Still, the loss of these remote sensors do not automatically translate for the device to be non-recommendable for everyone. For those who want to make their home a bit smarter without having to spend a ton of money, this device is a good place to start.